Home / Posts Tagged "Email Recording"
WHO NEEDS EMAIL MONITORING SOFTWARE? No matter who you are you can find a use for email monitoring software. 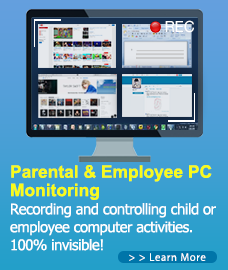 It is great for parents because they can track with ease to whom their children are talking and what they are saying. This can help protect children from predators or cyber bullies. Spouses who think their other half is cheating can be easily reassured of fidelity using email monitoring solutions. No need to hire expensive detectives! 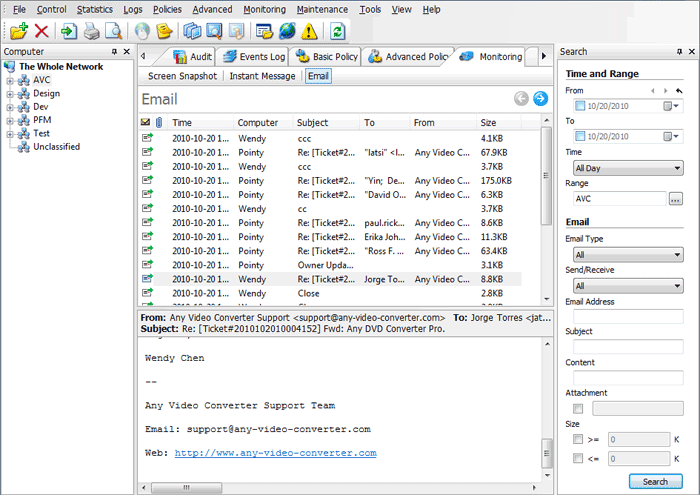 Email spy monitoring software will record in-going and outgoing emails, plus a wide range of other online activity. The spouse can read them without the significant other ever knowing about it. Businesses can make sure that their employees are engaged in productive tasks using this type of software, as well. Many email monitoring systems allow you to also monitor program usage, website searches and more. One look at your reports can tell you if an employee is being productive or is wasting time on the company dime. This type of software has so many different email monitoring features it can be confusing picking the right one for your needs. That’s why we try out and compare each one. This category is probably pretty obvious. Here we break down the best and worst email monitoring features of the software. This includes the ability to open email attachments, the ability to save and forward emails and if the software comes with alert features. These are the extra little tidbits that make the email monitoring system all that more useful. This category includes any feature that is used to monitor computer activity other than emails. This includes chat services, instant messages, web searches, webcam use, program use and more. We know that you don’t have time to read long-winded instruction manuals for every little task. So, we highly rate software that is easy to use, even for new computer users. Unfortunately though, sometimes you really need help and you can’t find the answers in the instruction manual. That’s when you need fantastic customer service. We make sure that each of our top picks has top-notch customer service and we list their virtues in this category. There’s no use having great features if they aren’t compatible with a wide range of email providers. We list all of the most popular email providers and their compatibility in this category.